After the surprise decision by Cook County prosecutors to drop all charges against Jussie Smollett, Mayor Rahm Emanuel and Police Superintendent Eddie Johnson spoke out angrily at a press conference Tuesday, slamming both the “Empire” actor and the state’s attorney’s office. Johnson said he was not given any advance notice that the charges would be dropped. Smollett reported to Chicago police that he had been attacked in the early morning hours of Jan. 29 by two men in the Streeterville neighborhood. Early police statements indicated the two suspects had yelled racial and homophobic slurs at Smollett before they hit him in his face, poured “an unknown chemical substance” on him and wrapped a “rope” around his neck. Police alleged Smollett paid two brothers $3,500 to stage the attack. Johnson said Smollett orchestrated the hoax because he was upset with his current salary on the hit television series. Following his arrest, he was written out of the final episodes of the show’s latest season. 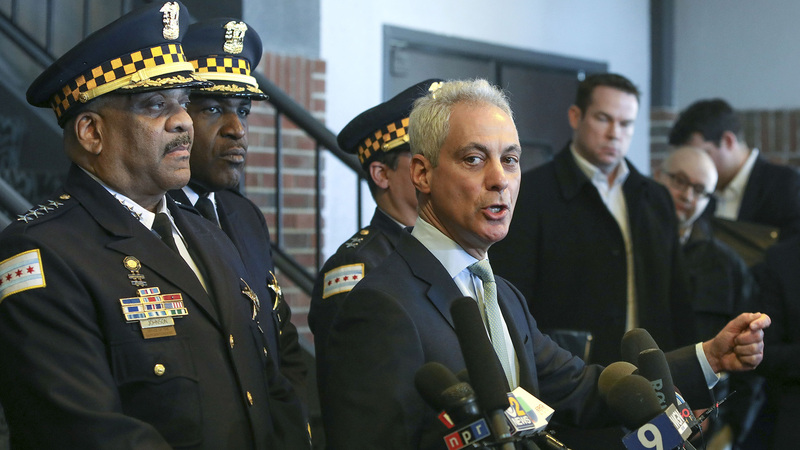 “Not only do I support the hard work of our police officers and the detective units, but I’d like to remind everybody a grand jury indicted this individual based on only a piece of the evidence that the police had collected,” Emanuel said. Kevin Graham, president of the Chicago police union, also spoke at the press conference. Last week, the Fraternal Order of Police asked the Department of Justice to investigate whether Cook County State’s Attorney Kim Foxx interfered with the investigation. Joining “Chicago Tonight” to help explain the legal underpinnings of the stunning move and how media coverage of the case has played out: Andrew Weisberg, a criminal defense attorney and former Cook County prosecutor; Jeffrey Urdangen, director of Northwestern University’s Center for Criminal Defense; and Charles Whitaker, professor and interim dean of Northwestern University’s Medill School of Journalism.